One of the jobs I wanted to work at when I was younger was to be a Lighthouse Keeper, the other was to be a bush pilot. 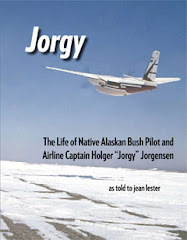 Never got to be either of them, but in Jorgy I get to at least read about what it would have been like to be a pilot in the wilds of alaska and canada. I have read a number of narratives like this, but I think this is one of the best. Captured therein is a sense of time and place that no one else but an experienced pilot of 85,000 hours of flight time could do. 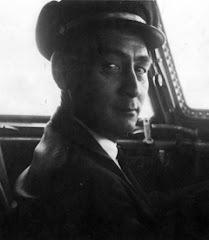 His time in the air extended from 1943 to 2001...an amazing accomplishment in my eyes...and in many a pilots experience. Reading Jorgy is a pleasure for me, his writing is like his flights...no fuss, no muss, quick and to the point. A great read!! One point: Many of the reviewers mistake the writing for Jorgy's—Jean Lester is the actual writer, but Jorgy is the speaker. Lester took great care to keep his words and voice, but it is her narrative. That she is invisible to the reader is an amazing accomplishment, one that few memoir writers are able to do so well, and demonstrates just how good a writer she is.